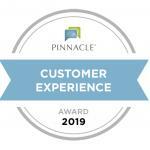 EMPRES POST ACUTE IS A PROUD RECIPIENT OF THE 2019 PINNACLE CUSTOMER EXPERIENCE AWARD, RANKING IN THE TOP 15% OF LONG-TERM AND POST-ACUTE CARE PROVIDERS NATIONWIDE. 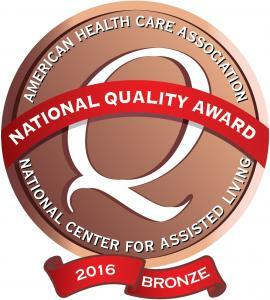 THIS AWARD DEMONSTRATES TO CURRENT AND FUTURE RESIDENTS OUR CONTINUED DEDICATION TO PROVIDING THE VERY BEST HEALTHCARE SERVICES AVAILABLE. At EmpRes Post Acute Health and Rehabilitation, our holistic approach to care “Accelerate Your Wellness” combines rehabilitation, clinical care, and social well-being as the foundation from which our patients benefit. Whether you are in need of short-term rehabilitation or long-term care, we want to empower you to meet your goals and regain your quality of life. Located in the quiet town of Petaluma, California, our senior living campus features walking paths, gardens, and fountains. The staff works well together because they are driven by the idea that a happy staff equals happy senior care residents.